Troubled by a noisy bar? Unremitting honking? Dangerous intersection—or any hundred-and-one other quality-of-life or non-emergency problems that come with city living? Now you can call a cop, directly. Neighborhood policing has come to Lower Manhattan’s 1st Precinct. 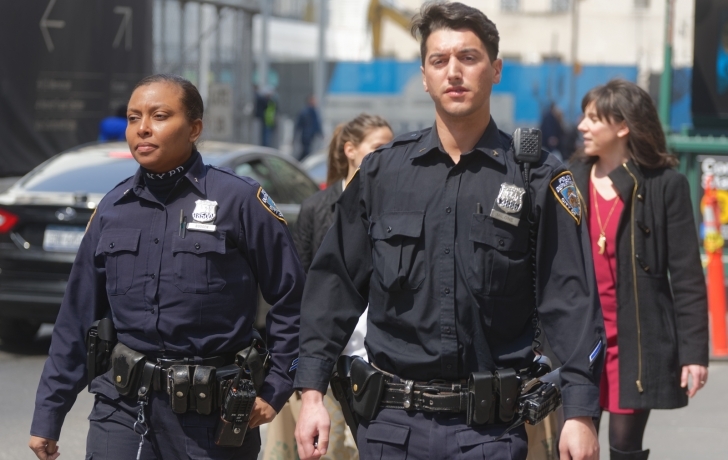 Two Neighborhood Coordination Officers, or NCOs, have been assigned to each of the precinct’s four sectors. Anyone can reach out to them by email or call their cell phones for non-911 issues. (See the map below for the officers' names and contact information and the areas they cover.) Within the next couple of months, the officers will also begin meeting quarterly with people in their sectors who want to discuss or learn about local safety issues. “I want people to call us and know the problem will be handled,” said Officer Joseph Milone, 29, who covers Sector C, or Charlie as it’s called, an area that includes Tribeca, much of Battery Park City and parts of the Financial District. “I assembled probably the best team in the First Precinct and they’ll be able to work directly with you in solving your issues,” said the precinct’s commanding officer, Dep. Inspector Mark Iocco, who spoke during the program’s launch meeting for the community last week at New York Law School. Previously, patrol officers received assignments to different sectors on different days, usually not getting to know people in the communities. The NCOs are a daily presence in their sectors and are tasked with introducing themselves to business owners, attending community meetings and investigating patterns of crime and quality-of-life complaints. Along with responding to issues that come to them by email and phone, they plan their days around visits to locations that have received 311 and 911 complaints, and they can adjust the hours of their tours to meet the need. The NCOs are freed from being dispatched to most 911 calls—other officers handle those—but they, too, can respond to emergencies. “I call them the utility cop. They’re able to handle different things. We’re asking them to be crime fighters but also be investigators,” said Harrison, who noted that the officers received a wide range of additional training, from investigations and mediation to the handling of child abuse cases. The 1st Precinct, Harrison said, now has more officers, up from 73 to 100, and an additional sergeant. And more of them are on patrol because special units—the teams that handle only one condition, such as quality of life or narcotics—have been disbanded. “We have to get more cops back out on the street in order for this to be successful,” he said. Behind the wheel of a brand new 1st Precinct squad car last Thursday, Milone smiled as he pulled up to the curb on Dey Street. “I like what I see,” he said to Bodden, his partner. What the officers saw was the absence of an illegal food vendor, a small but satisfying success in their new job of neighborhood policing. The day before, they had received a call about a vendor on Dey Street where vending is prohibited. As a result, the officers wrote him a summons and on their return this day, the sidewalk was clear. The Trib followed Bodden and Milone on that day, which began by checking in with the school safety officers at PS 234, Stuyvesant High School and PS/IS 89. At PS 234 they touched base with Safety Officer Frances Navarro and met crossing guard Angela Diniz, who had questions for the officers. “It makes it easier for us, and easier for them, to get to know us on a personal level,” Milone said. The Duane Reade at 250 Broadway has been especially hard hit with larcenies and Arssath Uthumalebbe, its manager, had already forged a successful relationship with 1st Precinct Crime Prevention Officer Brian Nelsen. Now, he said, he is grateful for daily visits from Milone and Bodden.